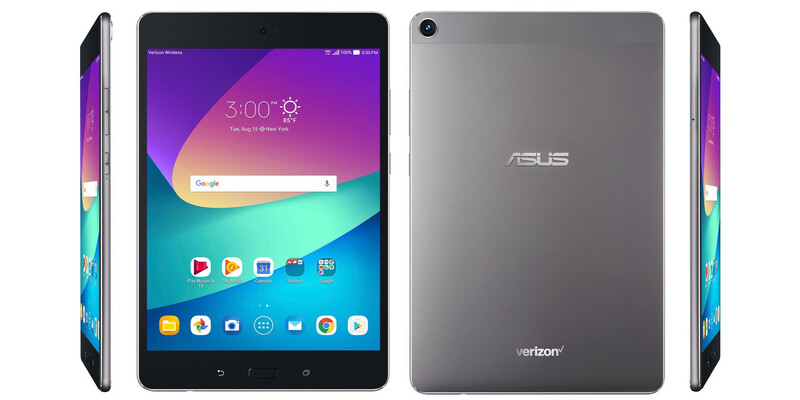 A new Asus ZenPad tablet is about to make its debut in the United States with Verizon being among the first carriers to offer the slate. Big Red hasn't yet announced anything about the so-called ZenPad Z8 2017, but a picture of the tablet with Verizon's branding emerged online. Despite the fact that the press render doesn't come with any details about the tablet's specs, we know quite a lot about the new ZenPad Z8 since the slab was officially introduced at Computex last month. However, Verizon's ZenPad Z8 2017 might be slightly different than the international version. In any case, the tablet announced about a month ago is powered by a quad-core Qualcomm Snapdragon 652 processor, coupled with either 3GB or 4GB RAM, as well as 32GB or 64GB internal memory. Moreover, the tablet sports an 8-inch display with 2048 x 1536 pixels resolution and runs Android 7.1 Nougat with ZenUI on top. Verizon might not be the only carrier in the U.S. to sell the ZenPad Z8 2017, but for the time being it's the only one that we've managed to confirm. I think the 2016 model is $249.99 with similar specs at Verizon right now. $400 is too much for an 8 inch tablet. With a Snapdragon 652, 64GB and 4GB RAM, along with a screen resolution higher than Full HD, I think $400 isn't too much for this 2017 ZenPad Z8. Maybe if it has the 4Gb/64Gb combo, because the 2016 has the same resolution screen with a Snapdragon 650. Primary difference is it has 2Gb/16Gb and it's priced at $249.99 right now. Buy a Galaxy tab S2 instead.